Spider Bites: How Do You Make a Sniper a Hero? Saturdays are for “Spider Bites.” Get it? Spiders make webs, and what’s on the Web is certainly worth sharing, right? 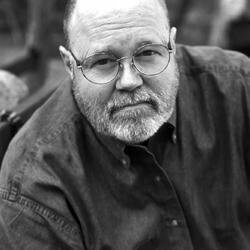 Today we feature the Website(s) of author Stephen Hunter. For me, his ongoing series of books about Bob Lee Swagger, and the companion books about his Dad, Earl Swagger, have been a pure pleasure. That movie burst forth from Stephen Hunter’s book Point of Impact, and was drastically adapted to reflect a different backstory from the character of Bob Lee Swagger in the 1993 book. One of my favorite Hunter books is Hot Springs, in which Bob Lee’s father Earl finds himself called on to clean up Hot Springs, Arkansas at a time when the place was totally mobbed up. Anyway, the purpose of these Saturday Spider Bites is to let you explore on your own. Below are some links to sites by and about Stephen Hunter. Did you know that Hunter’s day job before retirement was as the film critic for the Washington Post? He turns 65 in a couple of months. His publisher (Simon & Schuster) author page is here. Finally, here’s his page on the British Website Fantastic Fiction, a site I use extensively to help me annotate books in series – because publishers change and they are all terrible at letting us know the chronological order of series books.